The Azure Sky is your desert getaway. 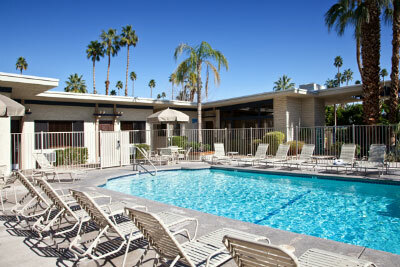 In the heart of Palm Springs lies this magnificent little jewel of a resort with only 11 one-bedroom units. If solitude and relaxation are your goal, look no further. Azure Sky offers spacious, well equipped hacienda style condominiums with full kitchens, dining areas, living rooms and bedrooms. Each condominium has a very private patio with bar-b-que grill. The flair of southwestern decor continues with the outdoor pool, jacuzzi and tennis court, along with great views of the nearby mountians. If you ever decide to leave the resort, Palm Springs and the surrounding valley have everything to offer.